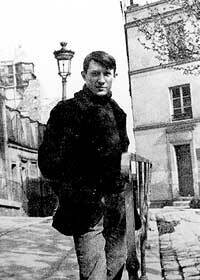 On this day in 1901, a 19 year old artist named Pablo Picasso had his first exhibit in Paris. 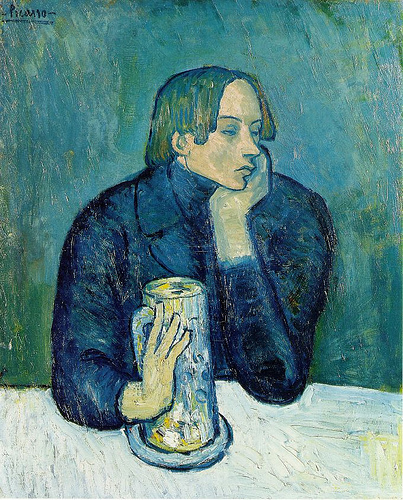 In that same year, Picasso painted the “Portrait of Jamie Sarbartes, the Poet” Or better known as Le Bock (“The Beer”). Pablo later (1914) created a piece of work using paper and charcoal titled “Glass and Bottle of Bass”. 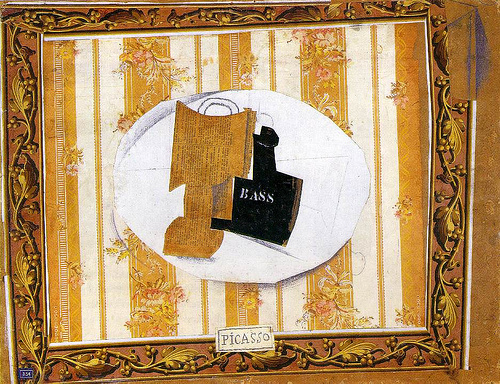 Best of all, Picasso’s dying words were “Drink to me.” Well, this one’s for you Pablo!